Frank Kraemer, client technical architect at IBM, previews the latest in automotive artificial intelligence, as well as the workflows required to implement it successfully. 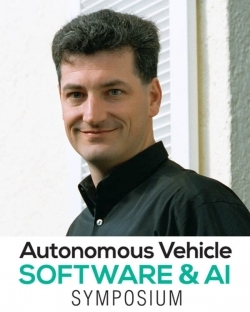 Catch Frank’s presentation AI and big data management for autonomous driving at the Autonomous Vehicle Software & AI Symposium. Purchase your delegate pass here. All major OEM and Tier 1 auto manufacturers are implementing and testing autonomous driving facilities. 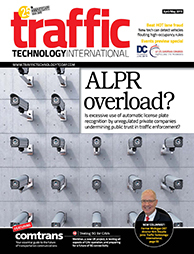 We examine how real-time sensors, big data computing, data storage and data archiving are integrated in today’s ADAS/AV systems. We’ll provide a fascinating case study of best practices for workflow design, testing and development; data storage; and archiving, applicable to all industries. 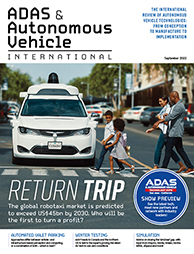 What’s the latest in automotive AI? Enabled by powerful GPUs and optimized ML/DL frameworks delivered as containers, AI is being rapidly adopted in the automotive industry. IBM Spectrum Storage for AI with NVIDIA DGX is an integrated computer and storage solution to support the complete lifespan of AI – from data preparation to training to inference – using the latest innovations of systems and software. Over 100GB/sec data throughput to support up to nine Nvidia DGX-1 servers in a single rack has already been tested and certified. Our team is in the process of testing containerized AI workloads with newer Nvidia DGX-2 servers, which have twice the number of GPUs as the DGX-1 systems.